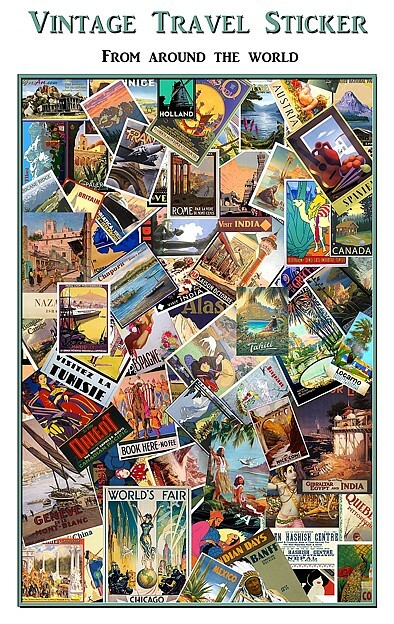 Vintage Travel Sticker Wall Paper Mural by Yves Lanthier. No:1 & No: 2 Below. Also available as wall paper. 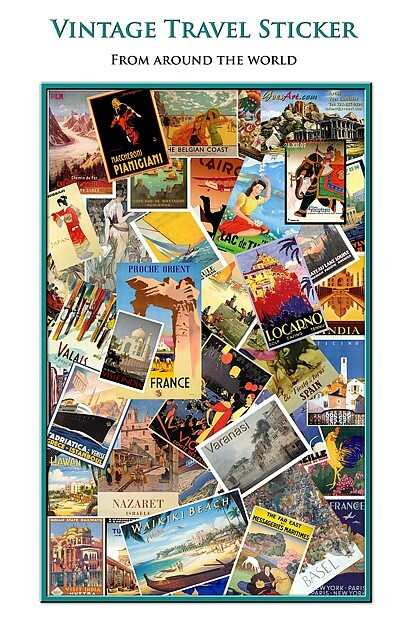 Custom size available on canvas.